This is a quiet, relaxed post. Just what I needed for Christmas Day, several years ago. Just what I needed this year, as well. I have a common cold, again. I feel rather miserable, but I am under orders from several on my Church Council to take it easy for the rest of the week. So, that is exactly what I am doing. 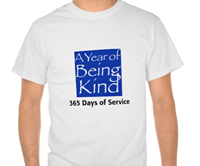 (Oh, and reposting one of my Year of Being Kind posts.) Wishing everyone a very Merry Christmas season. God bless everyone. No exceptions. Christmas with a Cat? Helping Out. Three services in the past four days? Check, check, and check. Sunday worship, the last Sunday of Advent. The Blue Christmas service on Monday. And, Christmas Eve service last night. Other pastors at other churches have as heavy a schedule, if not more so. But since this was my first year in a parish setting in a pastoral role, everything was more hectic than I would like. After a number of days with a good deal of activity—and the prayer, planning and forethought that went into each worship service—I had a much needed rest today. A true day of rest. A Sabbath. A day to rest and recoup. What more blessed day to rest than the day we have set aside to celebrate the birth of the Baby in Bethlehem? I did not do a great deal all day. Of course, there was present-opening around the Christmas tree this morning. My daughter and I went out to get some late lunch, mid-afternoon. (There is a wonderful Middle Eastern restaurant about two miles or so from our house. Kifta! Shawarma! Falafel! And of course, good rice!) No huge Christmas dinner for me, this year. Truth to tell, I preferred it that way. However, I think I can speak for my husband, daughter and I when I say that one of the highlights of our quiet, low-key Christmas was going over to another daughter’s apartment to check up on her cat. Toby is very sweet. She really enjoyed our visit. Toby even got rambunctious. My husband took some string and was playing with her for a bit. Her tail whipping to and fro, pouncing on the string, or on my husband’s outstretched hand and drumming fingers. Nevertheless, it was a good day. A day to be kind, and be helpful to a sweet cat. Toby cat. Yesterday was World Communion Sunday. With all the separation, argumentation and isolation in our respective neighborhoods and communities recently, I thought this post was much needed. There is much to be upset about, for sure. Not only individual separation and isolation, either. Pick a hot-button issue, and I am sure you would find people willing to come to blows about opposing views on that issue. I am for peace, and blessing, and cooperation. I dream of people coming together in friendship and amity, with smiles on their faces and outstretched, open hands. God willing, let it be so. Being of Service? Through Togetherness and Unity! Separation. Anxiety. Fear. If I get started and think about things like this, these emotions can make me want to shrink away. Go hide under the covers. What’s more, I just spoke with four friends over the past few days who are feeling similar emotions. The yucky kind, the kind that can make me feel as if everything is all gray. Dingy, washed out emotions, lonely, tattered and torn. Yes, I can listen when my friends tell me those sad, dark feelings keep encroaching upon my friends or acquaintances. I can journey alongside of them, and provide encouragement and support. Yes, I know what it’s like to walk through those dark times. Or to sit in them, even to wallow. And—I also know what it’s like to come out the other side. To walk together with others, to support and share with them in friendship, and encouragement. Isolation is something that can sneak up on a person. Sure, being alone from time to time is good. Healthy. Even, needed. Just ask five of my close family members. All introverts, and all enjoy their alone time. All need recharging time. But—isolation is going one step too far. Even a couple of steps too far, since some individuals go to extremes. Isolation is something that anxiety and fear feeds upon. I appreciate learning more about positive strategies I will be able to use. I know one thing that encourages me to bloom, to come back and share with people. I can stop thinking about myself, and concentrate on others and their concerns. I can provide encouragement, support, caring and love. Praise God. World Communion Sunday is just another way to provide this companionship. Togetherness and unity. Instead of being separated from one another and from God, we are joining together, across Christian backgrounds. Alone? My tendency is to curl up alone, to isolate. Sometimes even to feel sorry for myself. (!!!) However, when I come into community, I join myself with the wonderful help of others who might be feeling similar, dark feelings. Together, we all can support and pray for each other. One of the best things about World Communion Sunday is that it looks forward to the time of Christian unity, togetherness and ecumenical cooperation. Banishing separation, loneliness, anxiety and fear? Yes. Joining together in one body. What’s more, this helps us catch a glimpse of the hope-filled group of believers. All believers, from all over, can express togetherness, caring and love for each other. Another loving, worthwhile way to come before God. This post made me so happy! When I read through this, I instantly remembered the young man whose day I brightened. Imagine, I was able to do that just by giving him a bright smile and making a humorous comment. How many other people go through their everyday activities all sad and down in the dumps, with no one to make them smile? It was a simple interaction I had with the cashier, and I hope a meaningful one, too. It is a reminder for me: be kind. Be helpful. Be of service. Please. Ruddy duck (male), as identified by my friend Tom Russell. Today is Labor Day! The “official” end of summer, and a day for holiday festivities, picnics, barbeques, and all manner of outside activities. I spent a quiet holiday with my husband. Quiet and enjoyable! My husband wanted to go to one of our favorite places in town, the Chicago Botanic Gardens. Even though the day felt muggy, the overcast sky helped the weather seem a bit cooler. So, there we were. Traveling northward, taking our time. It was a holiday morning, I reminded my husband. It was a good thing that my husband took his large umbrella along when we left the car. The overcast sky threatened rain all morning. Lo and behold, the rain started while we were quite some distance from the entry gate, in the middle of the garden. As I said, good thing. In fact, it was a novelty for us to walk around the garden in the rain. And the flowers! The colors! We saw a riot of color! Explosions of flowers! Absolutely gorgeous time to go to one of the most beautiful natural places in the Chicago area. All that leads up to the being-kind part for the day. After having my fill of beauty and lovely flowers and restful greenery, I stopped at the gas station just west and north of the Garden. Very large gas station. Lots of gas pumps, and roomy interior to the building. As I went into the building to pay, I noticed the young man behind the counter. He looked glum. I mean, really sad. I paused, a number of steps away from the counter, and watched him carefully as he waited on another customer. I could just feel the sadness in him: a palpable thing. As I stepped up to the counter, I gave him my signature smile. (I do have a friendly smile. I’ve mentioned it before.) “Good afternoon!” I pushed my twenty dollar bill across the counter, slowly. He watched it slide towards him for one second, and then two. He picked it up as I said, “I’d like twenty dollars,” and paused. Grinned wider—“on lucky pump number thirteen!” The cashier was a bit taken aback at my comment, and then instantly recovered. His whole appearance transformed, his face lit up. Nodded. He opened the cash register, and continued to smile at me. I waved as I turned to go. Such a little thing. Off the cuff. I didn’t even think before I made that comment to that young man. But I suspect I made a difference to him, today. I hope so. I pray so. God, please be with that young man! Today, and every day.